Making its way through the Volkswagen Group SUV line-up with the Touareg, Q7 and Tiguan Sportsline models, ABT has now turned its focus on the new Q5 crossover. The 2.0 and 3.0 TDI models along with the 2.0 TFSI have all received the ABT Sportsline treatment, evoking the ‘five wows’ in the words of Hans-Jurgen, managing director of ABT Sportsline - fast, beefy, extravagant and extremely versatile. The two 2.0-litre options have greatly benefited from their ABT tune-up, with the 2.0 TDI delivering 140kW - up from 125kW, and the 2.0 TFSI boosted by 22kW to 177kW. The modified 3.0 TDI represents the most powerful model in the ABT Sportsline Q5 range with 220kW (up from 176kW) and an enormous 610Nm. Suspension and brake components have been upgraded to match the increased power, offering lowered suspension or ABT Level Control, an electronic lowering system for the air suspension together with larger 380mm brake rotors. The exterior of the ABT Sportsline Q5 has been differentiated with a new front and rear apron, front grille, fender extensions, rear wing, quad exhaust pipes and huge 20-inch wheels. The ABT Sportsline Q5 will be available in Australia from RamSpeed by the end of March 2009. Audi will headline its all-new Q5 amid an impressive array of new models at this year’s Melbourne International Motor Show. As the only major motor show to be staged in Australia this year, Audi is pleased to maintain its status as one of the major exhibitors at the Show, and is very proud the Q5 will debut to an Australian audience, an audience it says will be well suited to the Q5’s combination of dynamism and versatility. Featuring Audi’s renowned quattro all-wheel-drive and innovative chassis architecture, it offers a superior technology package for both on-and off-road driving. The latest version of the quattro system is rear-biased and distributes drive power asymmetrically and dynamically between all four wheels, redistributing the power as necessary if one wheel loses grip. The front end is dominated by expressive headlights on both sides of Audi’s signature single-frame grille, while prominent features in profile are the large wheels and rising edges. Q5 is expected to make a significant contribution to Audi’s rapidly growing market presence in Australia, which has seen four consecutive years of record growth and a doubling of its local market share since 2004. The Melbourne International Motor Show runs from February 27th until March 9th at the Melbourne Exhibition Centre. Building the R8 has been one of the best decisions Audi has ever made. 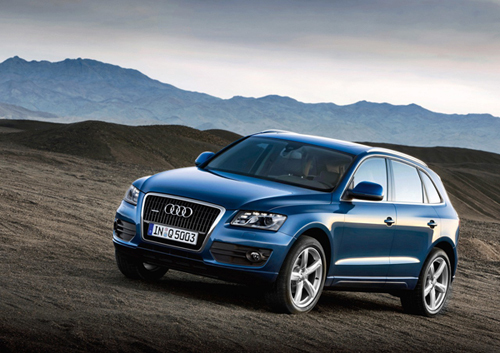 As launched, Audi did almost everything right. Indeed, avant-garde styling, light weight from an all-aluminum body and structure, and near-perfect handling with a standard all-wheel-drive system all contribute to the car’s special nature. Alas, one thing was missing from the package: Brute force. It’s true that tuners such as MTM in Wettstetten, Germany, have squeezed extra power out of the R8’s standard 420-hp, 4.2-liter V-8, bringing it into supercar territory. But it has been a poorly kept secret for some time that Audi was planning its own, more-powerful version of the R8, with a V-10 installed behind the driver’s head. And now it’s arrived. German tuning company O.CT Tuning released the first details and photos of another package for the Audi S3. Called Boehler concept BS3, the car is based on the quattro version of the S3, powered by an upgraded engine that delivers 328 hp (241 kW) and a maximum torque of 425 Nm. The power upgrade was made by fitting a a specially developed Engine control unit, deep thorated Sportexhaust with integrated Controlfolds and improved Air Intake System. According to O.CT, the BS3 has a top speed of 265 km/h (165 mph) and it goes from 0 to 100 km/h (62 mph) “almost a full second quicker than the Stock S3″ (which does the sprint in 5.5 seconds). Other upgrades include a fully adjustable O.CT Coilover Suspension, 8-piston braking system with 372 mm discs/rotors and O.CT Carbon Fiber Add-ons for the engine, battery and air intake. Last, but not least, the body kit looks very good, with widened fenders and redesigned rear bumper, finished in white and black paint, plus a set of 20 inch MÖZ alloy wheels. The only downside of this package is its pricing, around 67,000 Euros, but the fact that the car will only be built in a limited run of 100 units, O.CT hopes to find customers for it. Okay, who wants to wait for the Audi Superbowl commercial? Hmm… oh you don’t? If you want to see the new Audi Superbowl Commercial then you should NOT look below, you should wait until Superbowl Sunday! DO NOT scroll down and watch this video before Superbowl Sunday… if you do then your computer may explode! 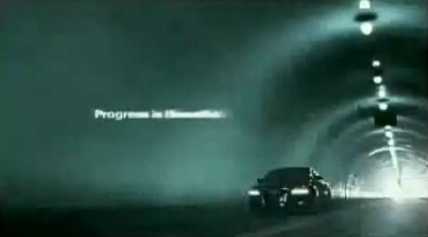 The new Supercharged Audi A6 is showcased in the Audi Superbowl commercial. The actual slot for the commercial is supposed to be 60 seconds (1 minute) while this clip is only 30 seconds. Maybe we are missing something here. Super Bowl Update:Full video included below from the Super Bowl XLIII. Here’s the story: With 23,288 miles on the odo, the S8 found itself closely involved in a noisypas de deux with an elderly minivan, a dance from which neither vehicle emerged in running order. It was a classic offset collision. We must mark this down to a judgment error on the part of our pilot, who darted for a left-turn opening that was suddenly occupied by the minivan, which had been screened by a string of large SUVs.